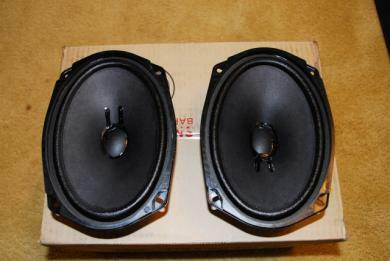 Up for sale are two NEW OEM BOSE 6X9 rear speakers for a 1993 thru1995 Acura Legend LS or GS coupe. These might fit other Legends , but I'm not sure. The Acura part number is 39120-SPO-A31, the Bose part number is 147321! Please make sure the part number match before making a purchase. These Bose speakers are intended to be used on the Bose Premium system which uses a 2100 AM/FM/Cassette tuner with "Premium" printed on the cassette slot.